Expertise, dedication and passion. Only the best onions, painstakingly grown ourselves. These are the key ingredients for our high-quality, crunchy crispy onions. We supply them to customers all over the world. 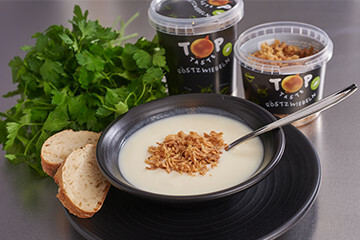 TOP Taste is part of the TOP Onions Group located in ’s-Gravenpolder, the Netherlands. We are a family-run business and have been growing and processing onions for decades. 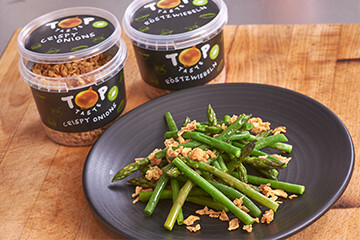 From carefully growing our onions, using only the best varieties, through to delivery of the golden, crunchy crispy onions: we control the process end to end. Craftsmanship and full traceability are guaranteed as a result. We are continuously developing our product. This recently resulted in the introduction of several unique products, such as Crispy peppers and Crispy gherkins Dill. 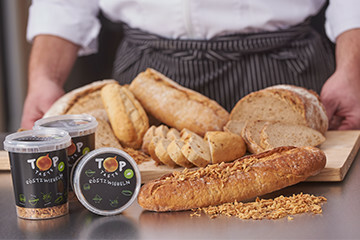 Here at TOP Taste, sustainability and innovation are not just words. We operate on the basis that we must exist in harmony with the world in which we live, and in which our children are growing up. This is demonstrated by the increasing use of RSPO in the production of crispy onions, and continuous investment in product improvements. A product that does not meet our stringent requirements is used as animal fodder. Waste is processed in a sustainable way whenever possible.